History has proven that we like to adorn ourselves with beaded embellishment. 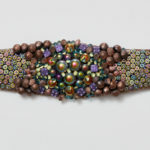 Our choices have included bead embroidery, from subdued to glamorous and even over-the-top. 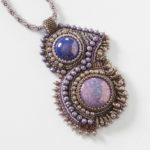 For example, African tribes have a long tradition of wearing elaborate handmade beaded jewelry. These designs are not only beautiful but also hold important cultural significance. 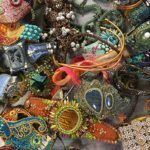 And it’s widely recognized that Native Americans are known for their bead embroidery, such as amulets, pouches, headdresses, neckpieces, belts, and footwear. We’ve all seen the skirts, dresses, and even hats from the 1920’s Flapper era. 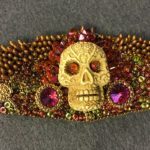 Their garments were weighed heavily with beaded embellishment and look like so much fun to wear! 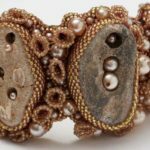 —Debbie Blair, Editor, Beadwork magazine discussing Tammy Honaman’s fabulous course on emroidering with seed beads. 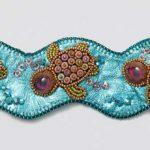 We know that bead embroidery is one of the hottest topics among beading artists today. So we have gathered together resources, tips, tricks, and personal stories from the top artists in the field so that you can learn from the best! 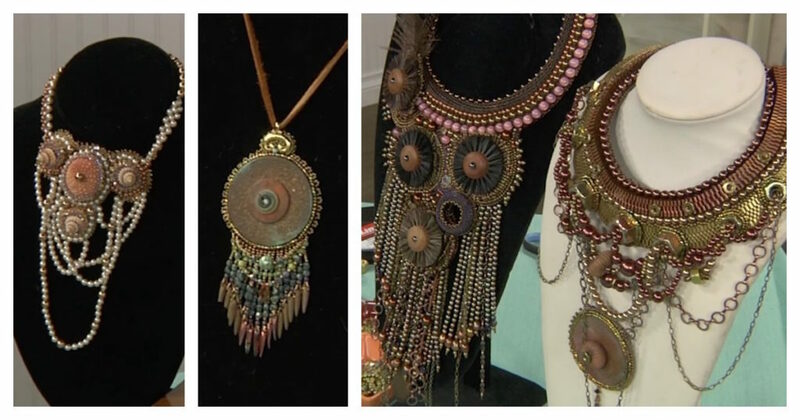 Find tips from the best, like Kinga Nichols and Sherry Serafini. Read Tammy Lawson’s inspiring story of her guardian angel. 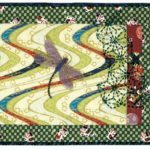 Also download free patterns and our free bead emroidery ebook here! 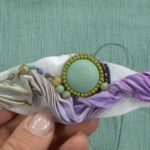 While you’re here, check out the Interweave shop for great videos, kits, books, ebooks, and magazines on all of your favorite beading topics!